I’ve been watching a lot of Shark Tank lately. 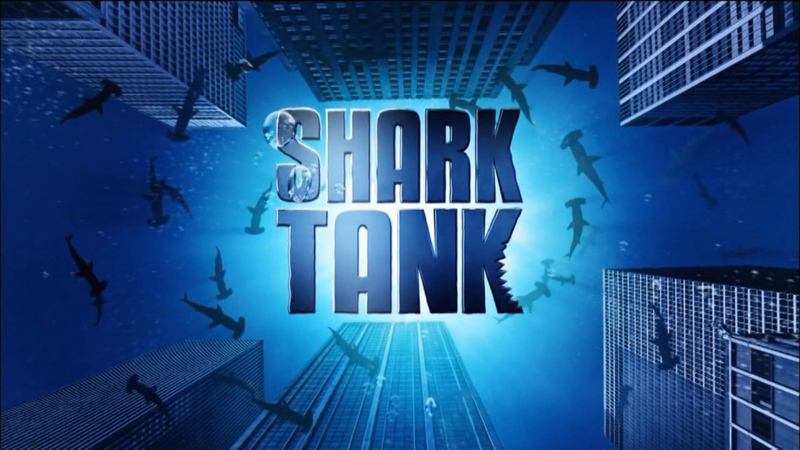 In case you are unaware, this is a reality television show in which entrepreneurs pitch ideas to a group of well-known billionaire investors in the hopes of landing a business deal. It’s entertaining as hell and highly addictive. Most of the proposals are silly (an alarm clock that awakens you with sizzling bacon, a fart-scented “Man Candle”) or ludicrous – how about that vortex generator that uses the earth’s rotation to create electricity and, in the process, solid gold? – but a few are home runs. Naturally, the allure of a million-dollar business deal has piqued my interest. Don’t get me wrong, I love my job, but you know what I like even better? So I have been trying to develop ideas for my own great invention to pitch to the Sharks. After much deliberation, I think I’ve got something. (And no, it’s not my chain of Vietnamese restaurants cleverly named Pho Q or my furniture empire, Sofa King (“Our prices are Sofa King low! Our couches are Sofa King durable!”). Endless tongue-in-cheek advertising possibilities aside, I am aiming for something higher than a sixth-grade maturity level). Tara and I were discussing Drumsticks recently. The ice cream kind, as opposed to chicken legs. I mentioned how that last little bite – the solid chunk of chocolate in the bottom tip of the cone – is the best part. She wrinkled her nose in disgust, but I knew a thousand happy bites (I used to be fat, remember?) could not have been misleading, so I quizzed a few people. “Do you like the solid chunk of chocolate in the bottom tip of a Drumstick cone?” I asked a coworker. It’s kind of like Elaine’s “muffin tops” idea on Seinfeld, only in reverse. We’re using the bottom of the product instead of the top. We’ll slice off the chocolate tips of the cones, package them up (I’m thinking 10 or so per bag), and market them as a decadent summertime treat. It’s so simple, and yet, Sofa King brilliant. I have no doubt it will singlehandedly pay for that winter home in Park City. What do you think, guys? 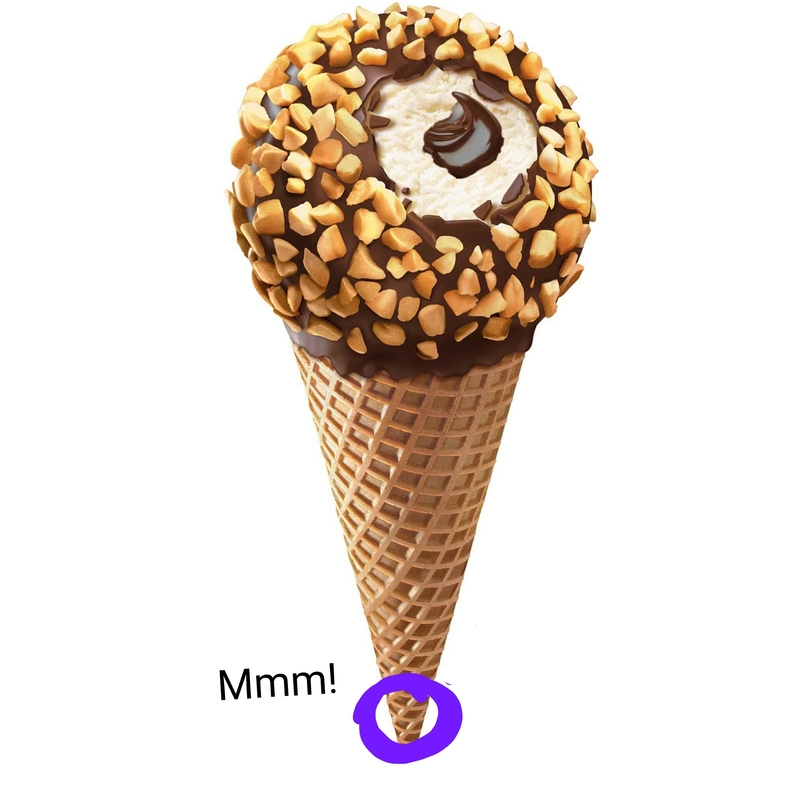 Do you like that solid chunk of chocolate in the bottom tip of a Drumstick cone? You’d love a bag full, wouldn’t you? Should I get to work perfecting my pitch, or start shopping for real estate first? As they say on the show…are you in? Um, I think this has been done. They’re called M&Ms. HA! Keep thinking, Mr. Petruska. I thought Shark Tank was a bar at which lawyers drank. I’m on Taras side Mark, sorry. I think that chocolate chunk is there to prevent your ice cream from dripping out of that little hole. Have you ever had one leak on you? I havent. That’s the reason. Yes, I have. Only because I’ve bitten off the bottom portion of the cone first to get to that delicious chunk of chocolate!! This cracks me up, esp your illustration. Yes, I do love the bottom of a Drumstick. I’m just not sure on a whole bag of them. Maybe you could market them as an ice cream topping. Sell them to retail ice cream chains like Cold Stone. I figured you would. You can give me a week every year at your Park City place. So I just very recently had my first drumstick and I don’t see what the fuss is about. Chocolate in the cone or not. Mark, I think it’s an absolutely BRILLIANT idea! And being a big time chocolate lover, I would love to see a drumstick with solid piece of dark chocolate at the bottom tip because it would be like getting TWO treats in one! To me, that last bite would be HEAVENLY! And I honestly think that MANY people would enjoy it too! Should be easy to mass produce–just use a machine similar to the one that cranks out “bugles” corn snacks. I’m in…I can come up with $17, maybe even $19 to invest–good for a box a year dividend? I agree that the bottom is the best part, but I’d have to stick with the original over a bag of bites. There is just something satisfying about savoring that chocolate bit after creamy vanilla.